This mini workshop series covers topics such as the sources of legislation, purposes of sharia, schools and jurisprudence and much, much more. Come join us for this one day introductory course on Islamic Law. 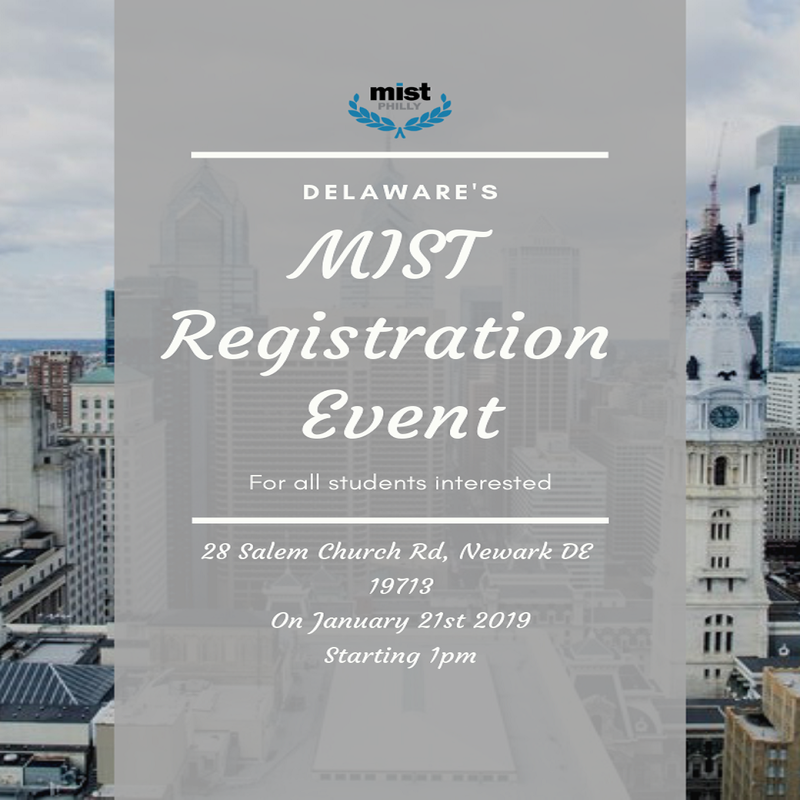 MIST is having an open registration day this Monday in the multi-purpose hall. About: The Muslim Inter-Scholastic Tournament (MIST)™ is a fun, educational, interactive program of competitions and workshops geared towards bringing high school students together from around the nation to develop leadership, communication, and other creative skills, all while gaining a deeper understanding of Islam and Muslims. 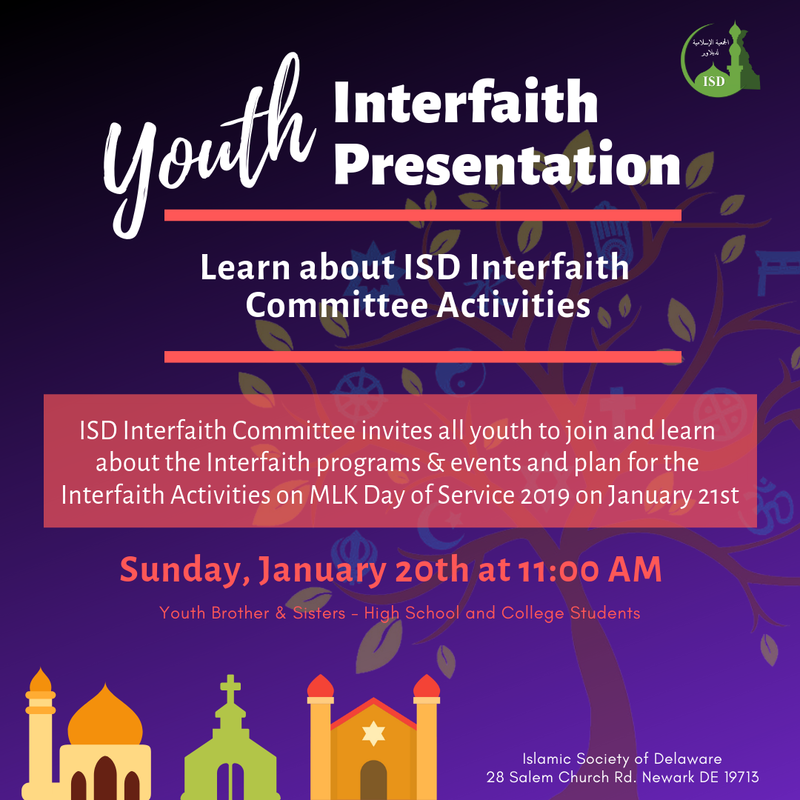 ISD Interfaith Committee invites all youth to join and learn about the Interfaith programs & events and plan for the Interfaith Activities on MLK Day of Service 2019 on January 21st. 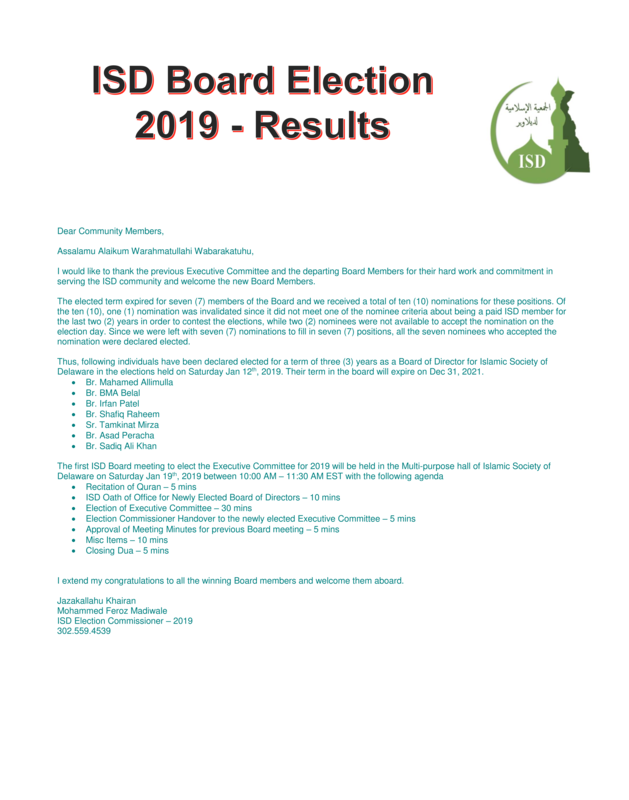 I would like to thank the previous Executive Committee and the departing Board Members for their hard work and commitment in serving the ISD community and welcome the new Board Members. The elected term expired for seven (7) members of the Board and we received a total of ten (10) nominations for these positions. Of the ten (10), one (1) nomination was invalidated since it did not meet one of the nominee criteria about being a paid ISD member for the last two (2) years in order to contest the elections, while two (2) nominees were not available to accept the nomination on the election day. Since we were left with seven (7) nominations to fill in seven (7) positions, all the seven nominees who accepted the nomination were declared elected. 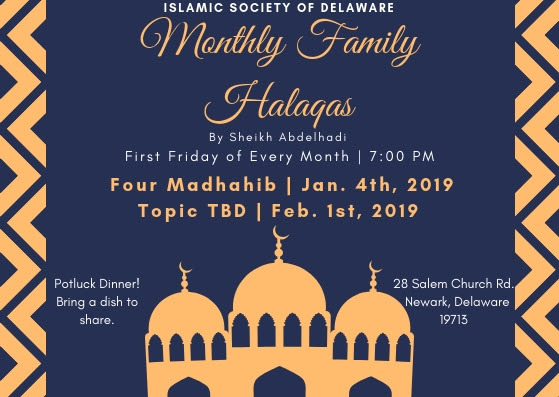 Thus, following individuals have been declared elected for a term of three (3) years as a Board of Director for Islamic Society of Delaware in the elections held on Saturday Jan 12th, 2019. Their term in the board will expire on Dec 31, 2021. I extend my congratulations to all the winning Board members and welcome them aboard. 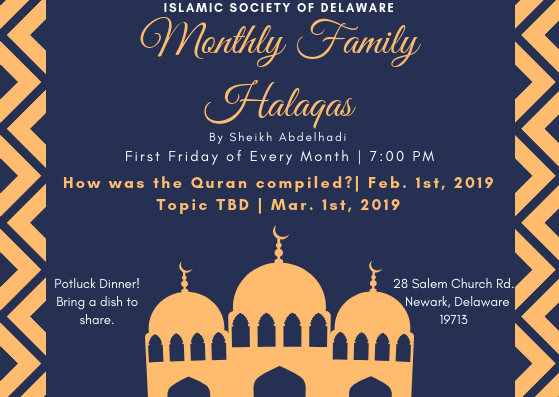 The next community family halaqa is on Friday, January 4th, 2019. The topic will be: "Four Madhahib. Is it important to follow one?"